In contact centers it’s generally taken as an article of faith that first contact resolution (FCR) yields a better customer experience than requiring multiple contacts. Makes sense. 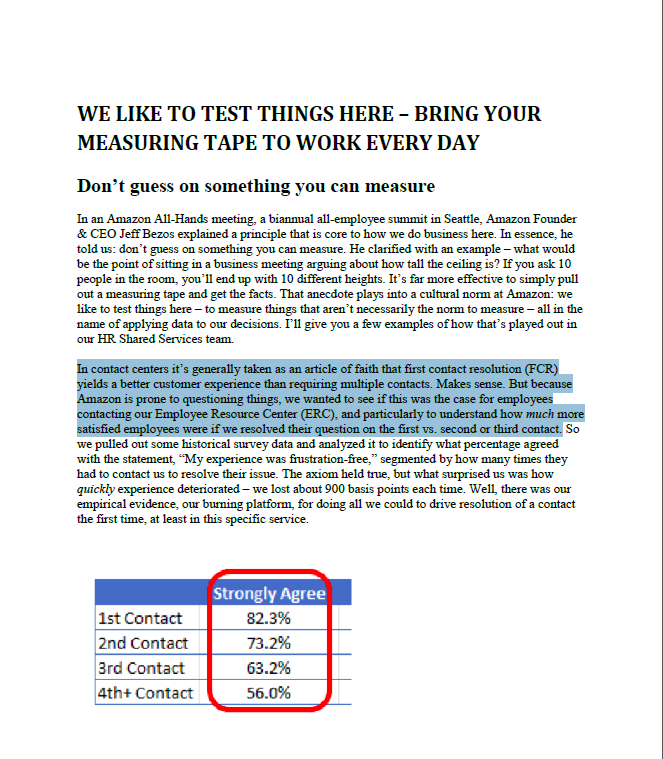 But because Amazon is prone to questioning things, we wanted to see if this was the case for employees contacting our Employee Resource Center (ERC), and particularly to understand how much more satisfied employees were if we resolved their question on the first vs. second or third contact.